Yay! I'm on a holiday again. Our break starts a day earlier since UM is in WP Kuala Lumpur, and, today is Hari Wilayah. This is probably the last holiday for us this semester. There are SO FREAKING MANY big events coming soon. This semester would be a 100 times more hectic than the first one. Since this semester is going to be even more packed, I decided to start using a planner this year. I can't even remember when was the last time I actually had one. Lol! I've actually received this planner weeks ago, earlier in January. The pictures here have been taken ever since that time. It's just me who didn't have time to update about it. I took this picture. Hehe. I know this is a bit late, it should've been posted in earlier 2019. My bad! I was quite busy earlier this month because we had our mid-semester test. So, I just finished the exams and now I'm finally home! A short, 1-week mid-semester break (yup, our mid-sem break is literally only 1 week). Oh well, I only have 4 months left before foundation ends. Let's talk about the past (lol). I know, past is past but why not? 2018 was honestly one of the best years of my life. I met a lot of new people, been to new places, got some new stuff, and a freaking driver's license (best thing ever)! What an amazing year, a year that I will never forget. Had my first part-time job! 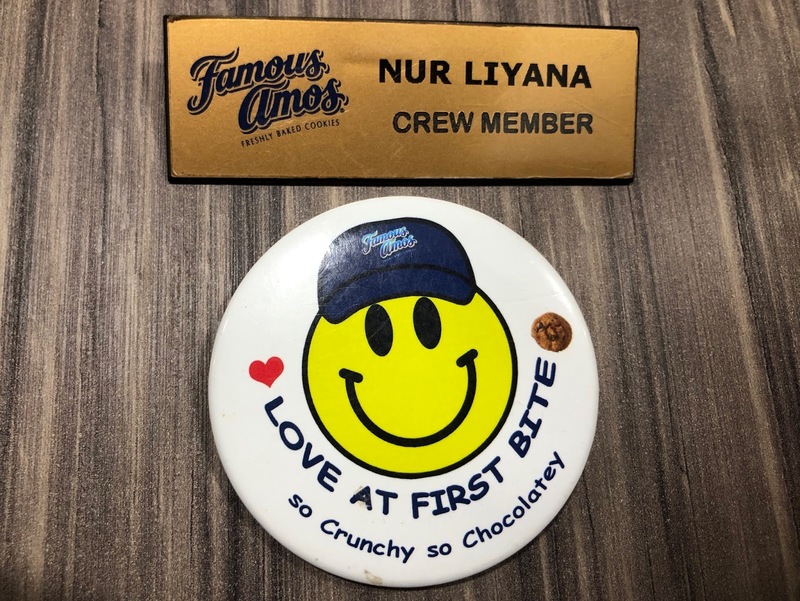 I worked at Famous Amos, Melawati Mall for 5 months. These are my work colleagues, Kak Sya & Kak Yana. I honestly miss working here so bad. It was a very new thing for me. Sometimes it was so fun, sometimes it was quite painful. I guess that's what working is like, right? But still, I really miss those times where I get to eat those delicious cookies for free, every day to the point where I was so sick of them. Whatever it is, working there was an amazing experience for me. My little brother's first day in MRSM. He is my youngest sibling and the only one who got into a boarding school. So, it was our first time, quite a sad moment for us. We didn't really expect him to get the offer but alhamdulillah he did! We were very proud of him but so sad as well. I was the only one who cried during that day, lol. He is in MRSM Tun Abdul Razak, also known as MRSM Pekan located in Pahang. I'm sorry I looked ugly here, but yayyy for holidays! I went to Hong Kong with my family and of course, gotta drop by Disneyland! It was a wonderful place. I've always love theme parks. The one I enjoyed the most was the night parade. Let me tell you, it was BEAUTIFUL. Very, very well-planned. I miss it so much! I've recorded a full video of the parade but it was too long, I can't upload it here. SPM Results Day! Of course, I will never forget that moment. I've never cried so hard in front of many people before! It was truly embarrassing. Oh well, alhamdulillah for everything. Honestly, it wasn't really for me but for my beloved parents. Alhamdulillah. I'm very proud of all my batchmates, especially my clique, Awaw! Went on a date with my mom! This is our first time going on a vacation without my dad and my brothers. Since I'm the first and only daughter in our family, I'm quite close with my mom. She was kind of sad that I'm leaving for university soon so she decided to bring me to Japan! Also as a gift for my SPM results. We went there during the first week of Spring. The sakura blooms so well. I didn't go to Tokyo, but Osaka. It was an amazing trip and I really, really miss Japan. Badly. After 5 months of trying, I finally got my driver's license! Alhamdulillah, I've been waiting for sooooo long. Fyi, I started my class in December. Then I failed, like, 2 times. Seriously. I failed both the circuit and the road test at first. Then, the next one, I only passed the road test. What a waste, lol! Honestly, it was still a great experience and I'm so happy I get to drive now! Hehe. Since all of us are continuing our student life in different pathways soon, we decided to go on a short trip together! Here are my cliques, Awaw. We've been together since Form 2 (2014) and they are literally the only best friends I've ever had in high school. There are actually 7 of us but one of us couldn't join the trip. We didn't go far, tho. We randomly searched for a nice Airbnb somewhere in KL, with a swimming pool. At least we got to hang out for 3 days 2 nights together. 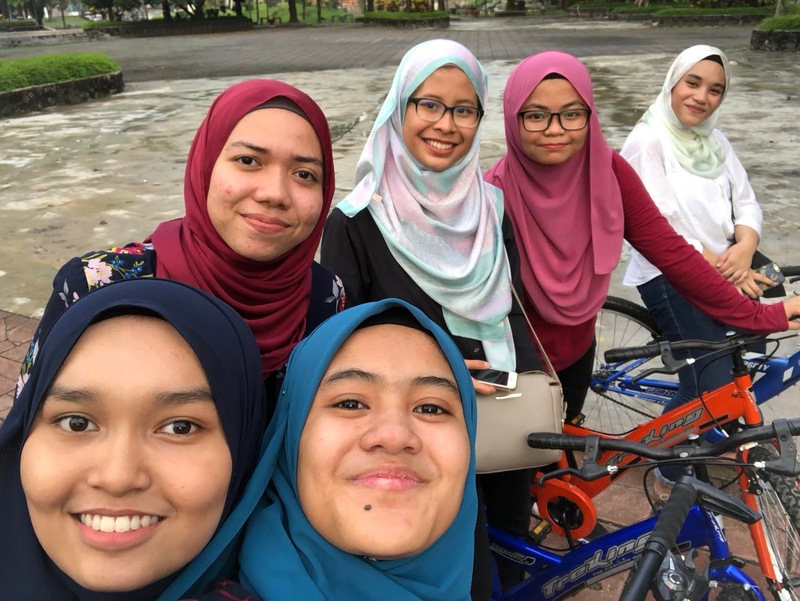 Here's a picture of us riding bicycles around Taman Tasik Titiwangsa. Raya! 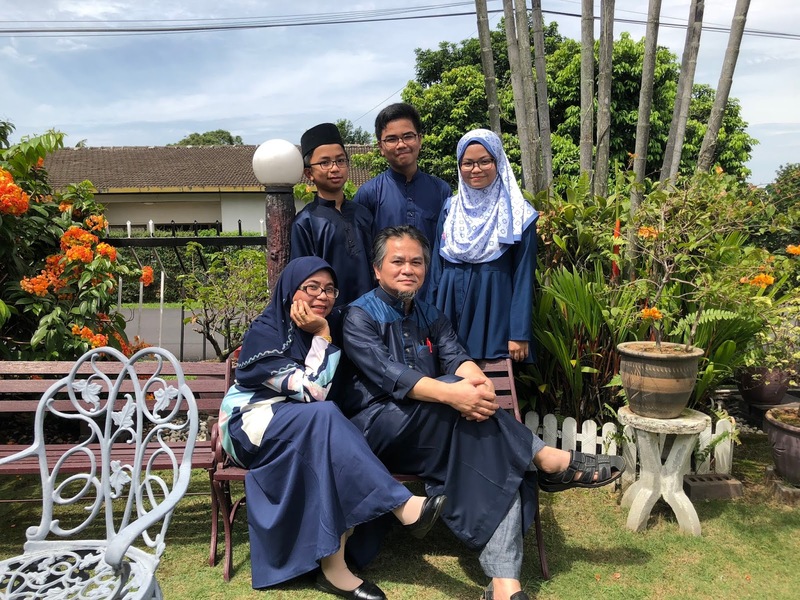 2018's Aidilfitri was one of the best ones I've ever had. Well, our family rarely got the chance to take a good picture like this together. And we also rarely have an actual colour theme. Well, this year we chose to wear dark blue! 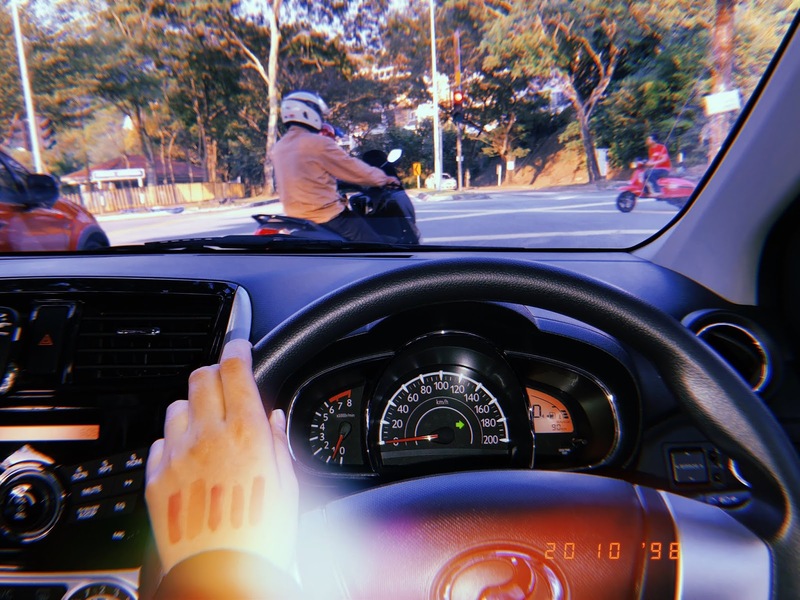 This was taken at my kampung in Petaling Jaya (not really a kampung area but my grandparents' house is there, so yeah). My journey as a foundation student begins! Here are my lovely roommates. 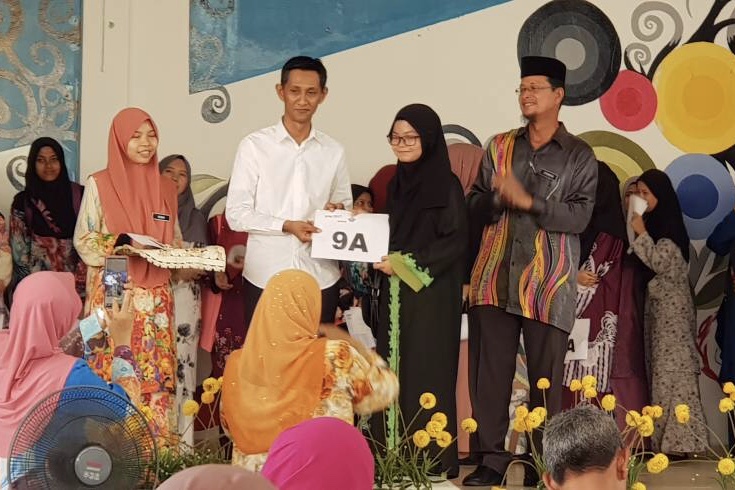 The tallest one on the right has actually moved out from PASUM, she got another scholarship offer. She's now in Kolej MARA and there are only 3 people in my room. I love them, I'm honestly so grateful that they are my roommates and not some other people. They're the ones who will cheer me up whenever I had a bad day. Nothing much but here's a picture I took this month. My classmates (excluding the boys)! I swear to God that they are the best. We have lots of lovely memories together, we clicked in so well. 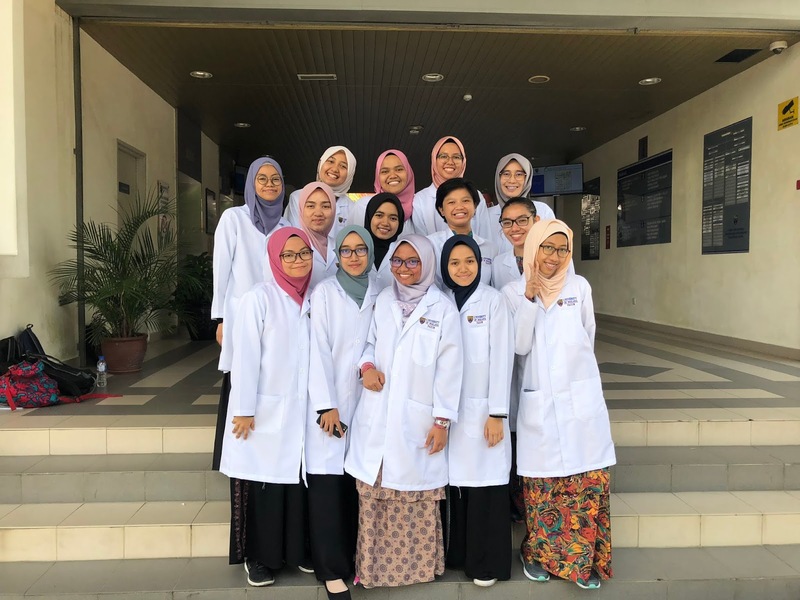 They're the ones who are so helpful whenever it comes to studies, homework, assignments and others. We worked together a lot. 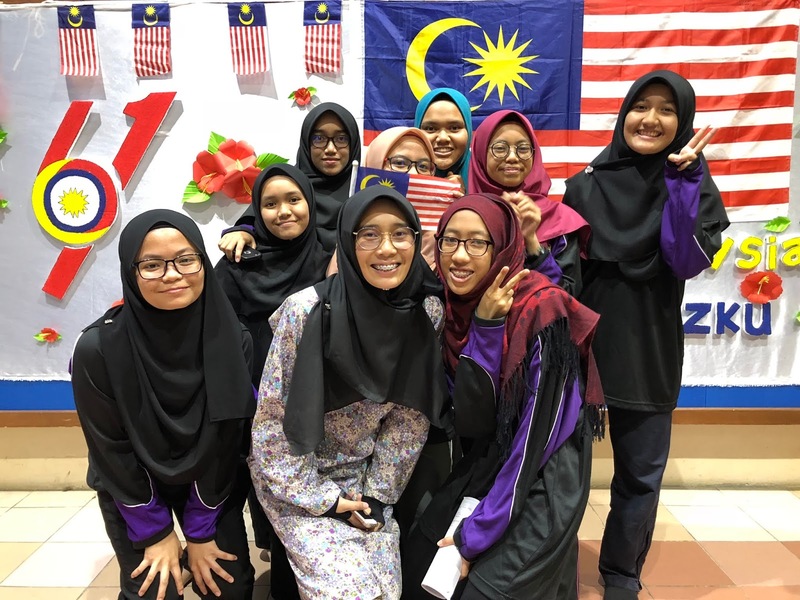 Celebrating Merdeka & Hari Malaysia with them! My college held this event to celebrate these special days. I wish there were fireworks but oh well. The performances were great. There are so many talented people here at my college. Singing, acting, name it! My friend in the middle performed as well. Some of you might have seen this picture. Hehe. After weeks and months of discussions and meetings, our first event went very well! Feed The Need 1.0: Kids Fun Fest. Alhamdulillah. I'm very happy with the outcome. Our team is spectacular, we got compliments from the Felos and other people for our teamwork. Had my final semester examinations and then, of course, semester break! Again, 1 week only (duh). Since it was also a school holiday, my family and I went to Sabah! That's me featuring Mount Kinabalu at the back. 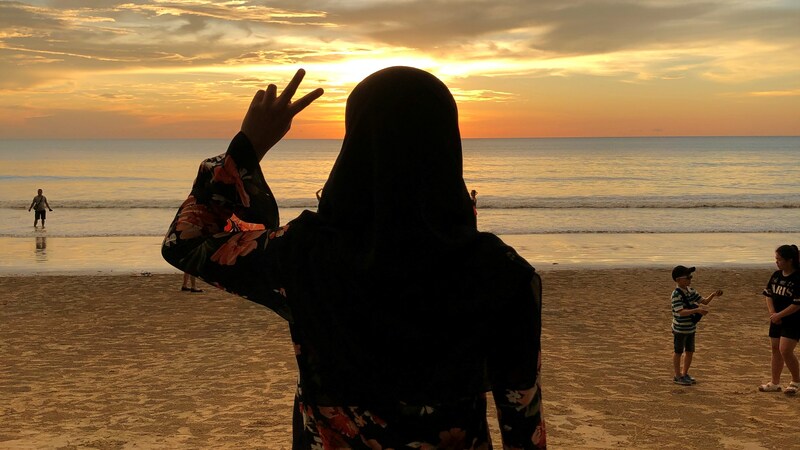 And that other picture was taken by me at Tanjung Aru Beach, one of the best places to watch sunsets in Sabah. To my giveaway winners, if you guys are wondering why there was a Sabah souvenir in your mystery boxes, it was because of this trip that I had last November! Hehe. Semester 2 begins. Again, after lots of meetings, finally we had our second volunteering program, Feed The Need 2.0: Health Care. It was a success as well, alhamdulillah. We are so happy to get to help the people in need, and also gaining new experiences from time to time. And finally, a full, proper picture of my class, HE1! Can y'all see that theme? The guys were wearing white while the girls were wearing black with different shades of hijabs, forming like a rainbow (sort of) effect. Lol! That one in the middle is our class mentor, Dr Ungku. WOW. That's pretty much a lot, right? There are actually more things I want to share regarding 2018 but this is already too much, I guess. About my Hong Kong, Japan, and Sabah trips, I wanted to make separate posts for each of them but it's kind of too late. I wish I could share more about those trips, especially Japan. As you guys can see, there are lots of different faces in all these pictures I've posted. I really, really met a lot of new people this year. Honestly, I was quite introvert before. Like really. After having a part-time job, I learned to communicate even more. I'm now a bit more extrovert. Entering PASUM, I was really afraid I won't have friends (lol, but alhamdulillah, turns out I have many now! I have more friends that are not in any of these pictures I've posted. Sums up, 2018 was amazing. I learned a lot. I gained so many new experiences in different places. I achieved a lot. Alhamdulillah for everything. Thank you to every single person who made my 2018 great. 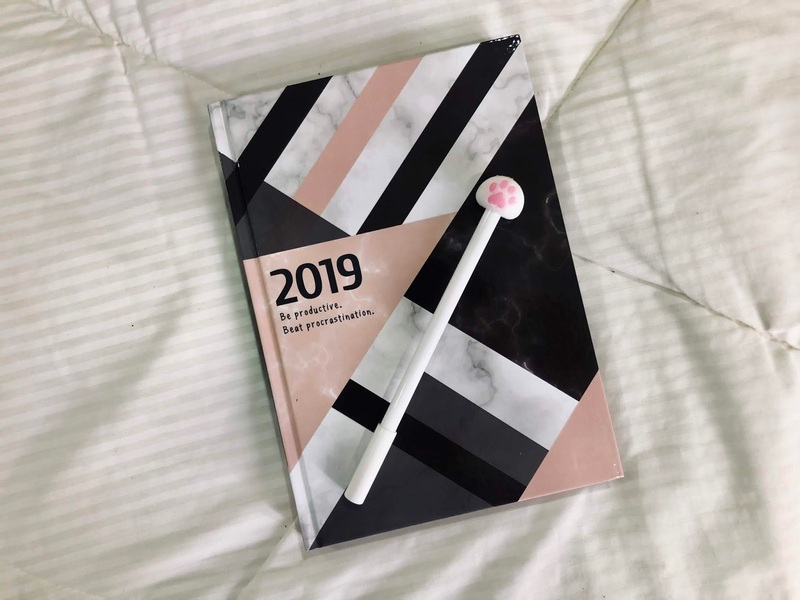 May 2019 bring new happiness, new goals, new achievements and a lot of new inspirations on your life. Wishing you a year fully loaded with happiness.